One thing we often do is to use limited evidence to draw preliminary conclusions or form hypotheses about what we think happened. These can later be tested with more evidence. Here are 10 statements. Decide from the limited evidence you have in the Velvet Soap advertisement whether these statements are more likely to be true or untrue. The White Australia Policy was popular. It was a well-known policy. It was a respectable policy. Australian people did not take the policy seriously. It was a national policy. Australians believed they were superior to others. People at the time believed in racial differences. There were few black people in Australia. Australians had a fear of invasion. The White Australia Policy was made by male leaders. You can now test these statements by further research. 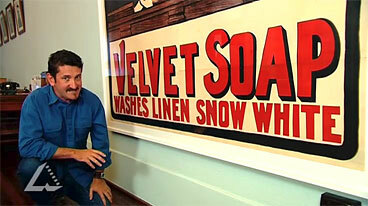 The Velvet Soap ad tells us about people’s attitudes and values at the time. Often we look at such attitudes and values from the past and reject them as inappropriate for our own society. However, we must be careful to realize that we are rejecting them from our own present viewpoint, and not from the viewpoint or standards of the past society. Here is an exercise to help you develop empathy with a past society without necessarily accepting its values. As a class list some attitudes, values or behaviour that we generally accept today, but that could possibly in the future be considered unacceptable. For example, you might suggest smoking; or eating meat; or using petrol in cars; or not believing that humans cause climate change; or believing that humans cause climate change! Explain what might happen to show that their view is in fact the more acceptable one over time. If you follow the majority view now, how will you feel about being criticised for this belief in 50 years’ time?